We have added a new feature which allows you to link directly to the affiliate or program and skip the single coupon page. This can be better for conversion rates as it is only a single click for the user instead of two. 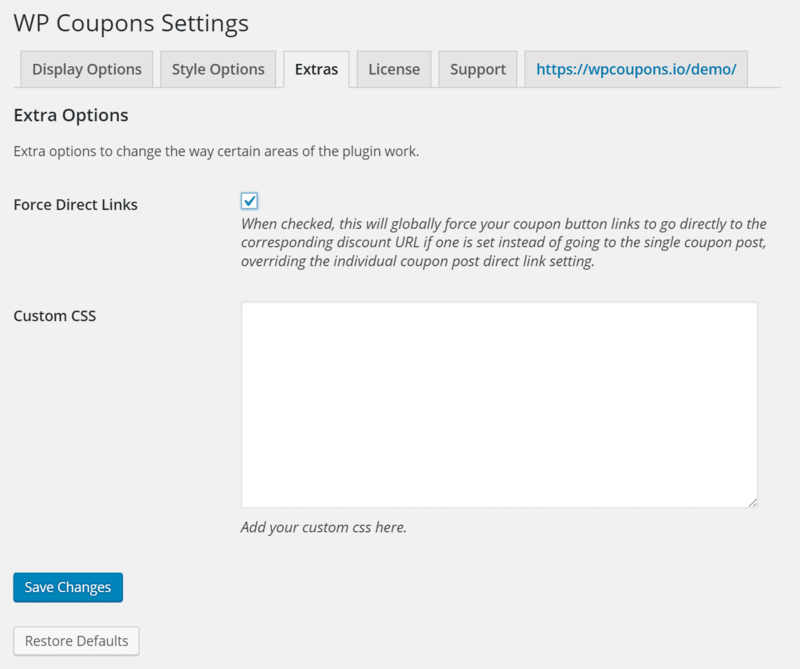 Within the WP Coupons “Extras” tab there is an option to force direct links globally.